The rapidly rising parallel global demand for both kosher and organic certifications has created a flourishing specialty food category, kosher organic, for products that meet both the strict requirements of Jewish dietary laws and the USDA National Organic Program specifications. To satisfy the growing numbers of companies worldwide that opt for both of these certifications, QAI and STAR-K Kosher Certification, based in Baltimore, Maryland, introduced a joint kosher and organic auditing program in January 2009. 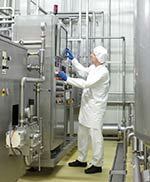 It provides two certifications with a single audit. This streamlined auditing process reduces overall certification costs, saves time and provides excellent service. September 10 – Baltimore–STAR-K Certification Kashrus Administrator Rabbi Sholom Tendler was invited by HaRav Hershel Rosenfeld, the Rosh HaKollel of Baltimore’s newest kollel, Khal Chassidim Kollel L’Horo’ah, to present a shiur on chalav Yisrael to the yungerleit, on Labor Day. Explaining how the chalav Yisrael kashrus program for STAR-K certified “Pride of the Farm” works, Rabbi Tendler began by reviewing the basic halachos of chalav Yisrael. He then covered how the farm operates and what oversight and safeguards are in place to ensure the cows are kosher and not “treifa”—i.e., that they are not operated on or have any sicknesses that would affect the kashrus of the milk. He concluded with an explanation of how the milk is watched and tracked to ensure chalav Yisrael status and maintained l’mihadrin min ha’mihadrin. 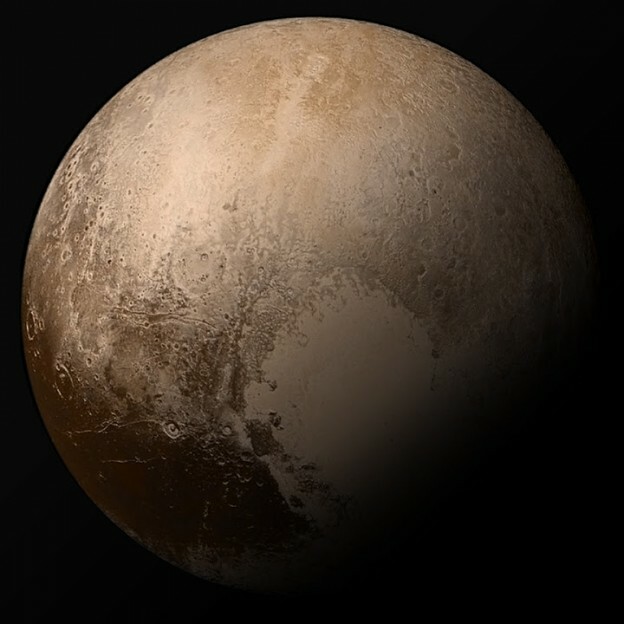 “New Horizons” (NASA’s Mission to Pluto) recently came within 7,800 miles of Pluto and brought much attention to this dwarf planet that at any given time is between 2.66 billion and 4.68 billion miles away from Earth. As we begin Rosh Hashanah, 5776, which will mark the beginning of the final year of the 304th nineteen year cycle since Brias Haolam (the creation of the world), it is interesting to note the amazing similarity between the amount of time it takes Pluto to orbit the the sun and the Jewish Calendar cycle based on 13 – nineteen year cycles found in the Tur (Orach Chaim Siman 428). The Tur’s chart is based on a 247-year cycle and it takes Pluto about 247 years to orbit the sun. Baltimore, MD – July 27, 2015 – If you place food on a crock pot that is on a timer for Shabbos, is it considered bishul Yisroel? Beyond the food, what obligations does a Kashrus agency have in a facility, e.g., the attire of the wait staff, the type of entertainment and music played, etc.? What is the criterion for Kashrus agencies to decide whether or not to certify an establishment that has just lost its certification? The Jewish population is growing all over the world and the demand for Kosher certified products is increasing fast, Head, India and South East Asia Operations of Star-K Kosher Certification organisation, Joel Weinberger, told a seminar on Kosher Certification for food and beverage export industries. The seminar was organised by the National Chamber of Exporters of Sri Lanka (NCE) at its auditorium in Colombo last week. The Kosher market has been growing at an annual rate of 15% for the past several years and Kosher-certified products continue to outsell organic and all natural products. Food manufacturers in North America and Europe, looking for new sources of ingredients, increasingly turn to Asian countries such as India to keep up with demand. In the Middle Ages, Jewish traders following the ancient Silk Road spice route settled in China, forming a community in the city of Kaifeng. Kaifeng was then one of the “Seven Ancient Capitals of China” and one of the world’s largest metropolises, with a population of close to one million. China’s ruling Song Emperors welcomed the Jews as welcome guests, bestowing seven family names that these Kaifeng Jews could use – some of which are still carried by their descendents in the town today. Kaifeng’s Jewish community thrived at first, building its first synagogue in 1163, and eventually swelling to several thousand members. Smaller Jewish communities sprung up in other towns in China. Unlike many Jewish communities elsewhere, it seems that China’s Jews faced little or no persecution. Ironically, the lack of discrimination they faced in China seems to have hastened their end. Baltimore, MD – April 23, 2015 – It is well known that when the Posek Hador, Rav Moshe Feinstein, Zatza”l, wrote his famous Teshuva inIgros Moshe Even HaEzer IV 92, in 1982, which placed severe restrictions on the production and purchase of Kosher white veal to the point that those who followed his Psak stopped eating Veal, his son-in-law, Rabbi Dr. Moshe D. Tendler, Shlit”a, a Rosh Yeshiva in Yeshivas Rabbeinu Yitzchak Elchonon, Rov in Monsey and biology professor at Yeshiva University, was Rav Moshe’s “right hand” in this psak. 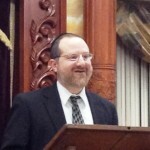 Rabbi Dr. Tendler in addition to his vast knowledge of Halacha and Science, had significant practical experience in Shechita including having headed the Shechita department of the Orthodox Union for a time. STAR-K Kosher Certification has become the first major organization of its kind to train its entire Kosher administrative staff in Hazard Analysis & Critical Control Points (HACCP)––a systematic, scientifically-based approach to food safety, provides a method for identifying significant physical, chemical, and microbiological hazards in the production of food and implementing control measures to prevent, eliminate, or reduce significant hazards to an acceptable level. The two-day in-house training at STAR-K’s Baltimore headquarters was lead by NSF International in November 2014. 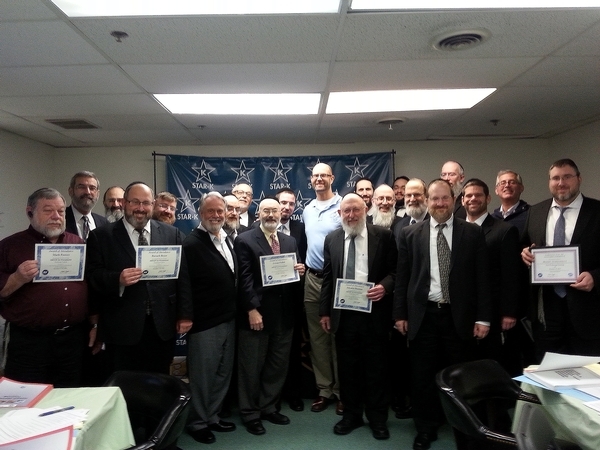 The Kosher organization’s staff traveled from all over the U.S. After formal training, all staff members passed the qualifying exam. 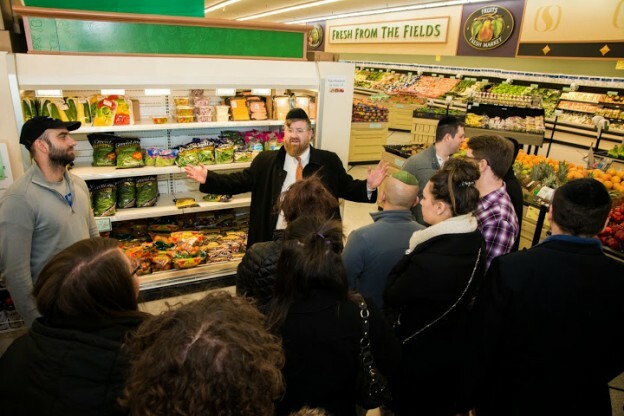 One of the first stops Rabbi Binyomin Friedman made in Baltimore, on Thursday, December 11, after flying up the night before from Atlanta, was STAR-K Kosher Certification. The dozen or so men, aged 30-60, who accompanied him were just some of his students at the Atlanta Scholars Kollel (ASK). The Kollel organized the trip for the purpose of providing the opportunity to learn in a Yeshiva—something that most of these men had never experienced in person. Baltimore, MD – Dec. 8 – This past Sunday a group visiting from Detroit had an opportunity to learn about the various response organizations that serve the Baltimore Jewish Community. 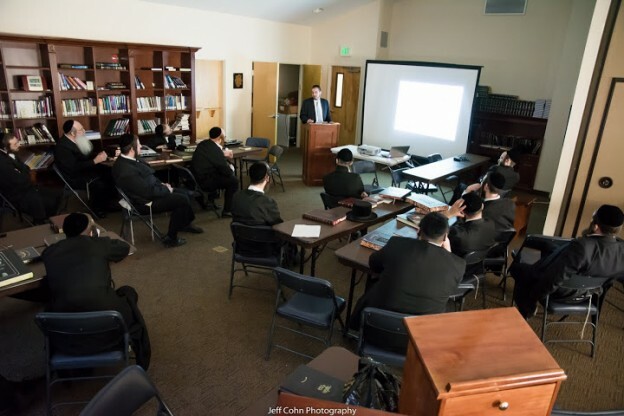 Approximately 30 visitors traveling to Baltimore with the Partners in Torah branch of Detroit came to Baltimore to see how our Orthodox Community is structured. After visiting Ner Israel and having a meeting with the Rosh Yeshiva, HaRav Aharon Feldman, shlita, they came to Bnos Yisroel to see firsthand the uniqueness of our chesed organizations. Security was tight at STAR-K Certification’s largest and most challenging food service supervision, to date–The Jewish Federations of North America’s 2014 General Assembly (GA), the premier annual North American Jewish communal event, held at the Gaylord National Resort & Convention Center, in National Harbor, Maryland, November 9-12. Vice President Joe Biden was one of the several scheduled speakers and I had to make sure I arrived early enough before Gaylord’s security lockdown. I never did get to see the Vice President, while I was touring the kosher kitchen with STAR-K Assistant Director of Supervision Rabbi Mayer Kurcfeld, who spearheaded the kashrus team for this event. But, I did feel the thrill of the anticipation of his arrival, as I went through more than one security checkpoint and watched a sniffing K-9 attack trained German shepherd police dog check out the crowd! Baltimore, MD – Aug. 4– Yosef Cohen has been attending a community kollel in Raanana, Israel, for the past five years. He decided to sign up forSTAR-K’s Food Service Kashrus Training Seminar, held July 28-30, because he is considering moving back to the US and will need a parnasa. The Eleventh Annual STAR-K Kashrus Training Program attracted attendees from the Catskill Mountains to Indianapolis, IN. This year, in addition to the STAR-K Kashrus Administrators who delivered presentations on everything from Foodservice Challenges to the Halachic issues of Appliances, Rabbi Aaron Metzger, director of the NY State Kosher Enforcement Bureau, addressed the participants. Rabbi Metzger, a resident of Monsey, NY, was appointed to his position by The New York State Department of Agriculture and Markets, in January. Part of his job is to protect consumers by ensuring compliance with the certification, record keeping and signage requirements relating to kosher food, and maintaining the Department’s online kosher databases. 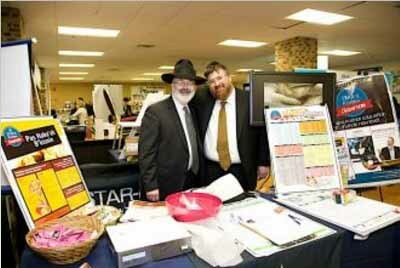 Baltimore, MD – May 2014 – Earlier this month, STAR-K Kosher Certification was represented at the sold-out Torah Umesorah 58th Annual National Leadership Convention by STAR-K President Dr. Avrom Pollak, STAR-K Kashrus Administrator Rabbi Baruch Beyer, and STAR-K Director of Special Projects Rabbi Zvi Holland, who introduced mechanchim to the STAR-K Kosher Classroom. 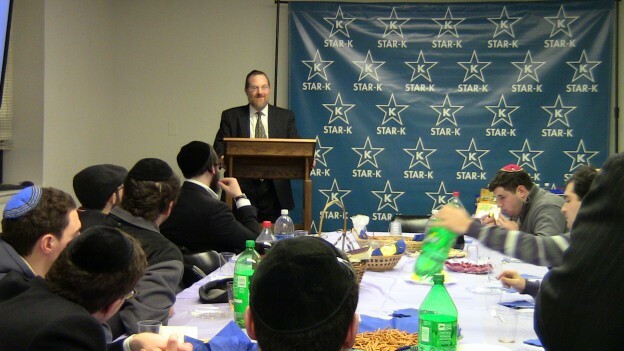 The STAR-K Kosher Classroom, which debuted at the convention, is an initiative to develop curricular materials for elementary, middle, and high school classrooms. The first group of posters and videos were prepared to present to the 1,800 attendees from throughout the U.S., Canada and elsewhere around the world, to generate interest, feedback and partnership from those who will actually be presenting the materials. 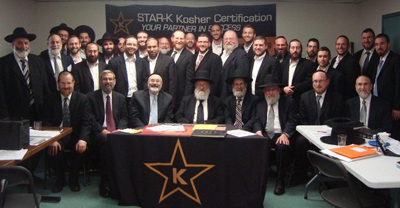 STAR-K Kosher Certification recently held its first Winter Kashrus Training Program for a group of mashgichim from New York. The participants, who live in Boro Park, traveled to attend the seminar in Baltimore on three consecutive Sundays, January-February. The program was the brainchild of Mr. Meir Rand, a Chasidishe mashgiach who has worked in various kitchen venues in Boro Park. Realizing the lack of Chasidishe mashgiach training, he approached STAR-K Kashrus Administrator Rabbi Zvi Holland with his well-accepted idea of a training program. “I was very, very happy with the program; I learned such new chidushim and how to deal with people in Kashrus work,” says Mr. Rand. “I have no words. It was mamash amazing–meyradik! 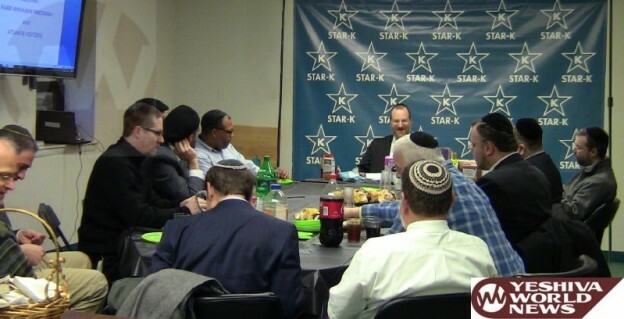 On Wednesday, January 8, STAR-K Kosher Certification’s Baltimore offices hosted a seminar for Jewish Experience Week (J.E.W.). 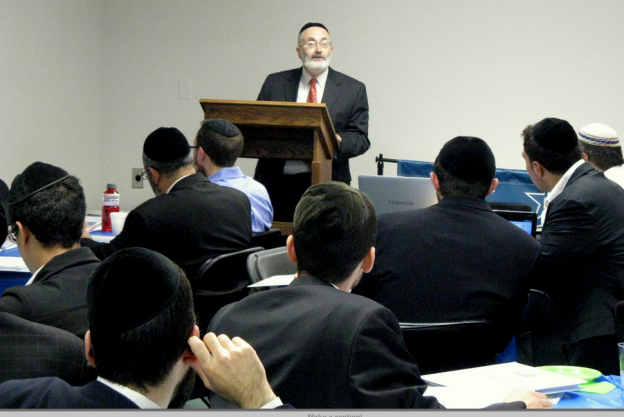 The seminar, led by STAR-K Kashrus Administrators Rabbi Zvi Goldberg and Rabbi Zvi Holland, enlightened college students from around the country about the function of a kosher certification agency and various practical Kashrus issues. Rabbi Holland’s presentation, “The Wonderful World of Kosher Certification”, covered the history of kosher certification, the globalization of food production and Kosher certification, the difference between a local agency and an International agency, non-profit public agencies certifying kashrus as opposed to individuals, the need and value of retaining public trust in kosher agencies, how halachic decisions are made at STAR-K and how they are kept separate from business, and STAR-K’s unique role as the only major non-profit Kosher agency dedicated only to Kosher. An informative Q & A session followed. The eighteen mashgichos who attended STAR-K’s Mashgicha Enrichment Program, November 2-3 in Baltimore, Maryland, had only one complaint: it wasn’t long enough. Although it lacked nothing in the way of organization or detailing of comprehensible and practical information, the women would have appreciated even more face time with the STAR-K experts. The experience of meeting fellow mashgichos from so many communities, being able to ask questions throughout the presentations, and the camaraderie felt by the program’s end, made it worth the trip! In keeping with Star-K’s commitment to providing prompt, efficient service, Star-K companies will now have the option of receiving their Letter of Certification (LOC) electronically. This enhancement is especially useful for companies that send multiple LOC’s to each of their customers. For example, rather than faxing a five-page LOC to a long list of customers, Star-K companies will be only a click away from electronic LOC distribution. All their customers can receive the data they need in seconds. Is a kosher caterer’s non-Jewish chef allowed to squeeze the juice of fresh grapes into the food he is preparing for an event? 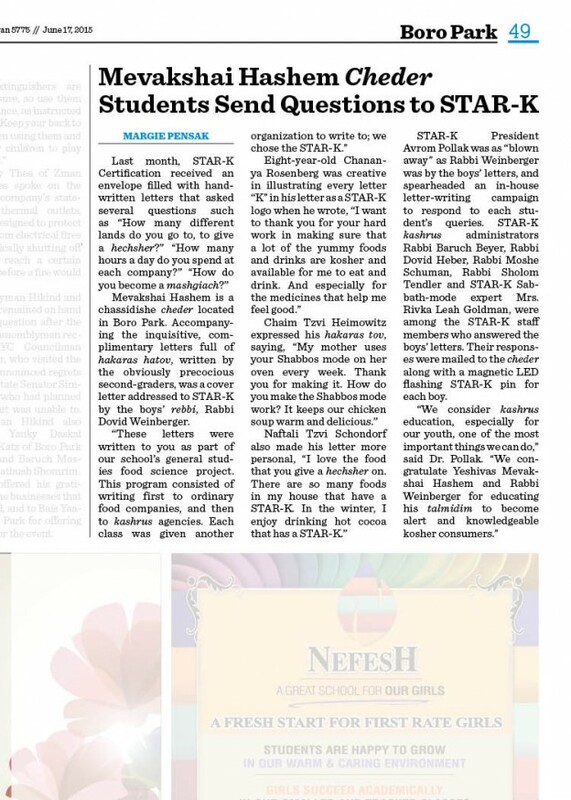 Questions such as these, and more, were answered by HaRav Moshe Heinemann, shlit’a, at STAR-K Kosher Certification’s back-to-back seminars, held in their home offices, earlier this month. Participants joined the Foodservice Kashrus Training Seminar, July 1-3, and the Tenth Annual Kashrus Training Program, July 8-11, from across the US, Mexico, and Canada. 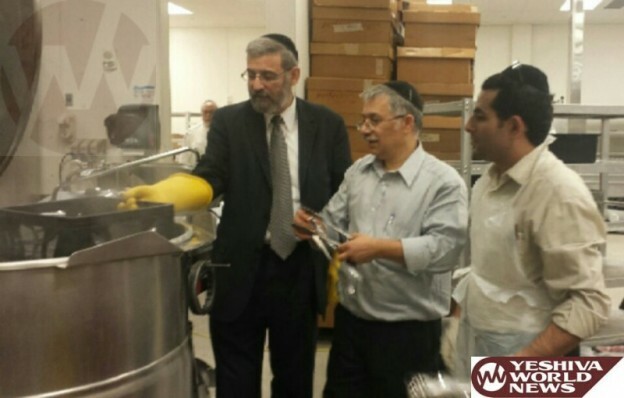 Rabbi Yechiel Biberfeld, who has been the Rosh Kollel of the Philadelphia Community Kollel for 13 years, attended the Tenth Annual Kashrus Training program so he could see and hear, first hand, the behind-the-scenes in Kashrus. 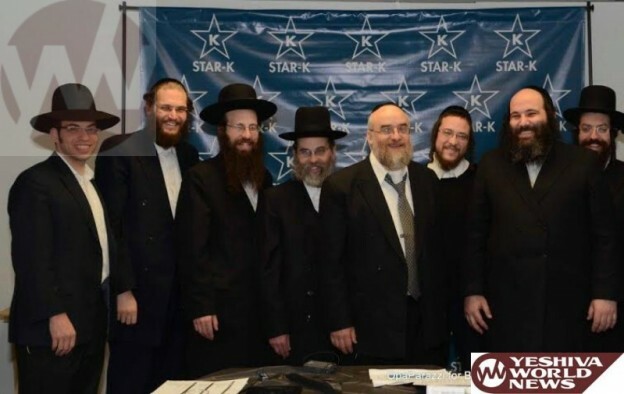 Rabbinic alumni from Yeshiva University’s Rabbi Isaac Elchanan Theological Seminary (RIETS) visited STAR-K Kosher Certification’s offices, during their Yarchei Kallah, held in Baltimore, Maryland, April 22-24. Participants traveled from as far away as Edmonton, Alberta, Canada, and Oakland, California, for this annual event for American and Canadian Rabbonim, coordinated by Rabbi Jacob J. Schacter, University Professor of Jewish History and Jewish Thought and Senior Scholar at Yeshiva University Center for the Jewish Future. Over the summer, STAR-K’s Baltimore offices hosted two Mashgichim Review Seminars which were attended by close to 50 mashgichim. 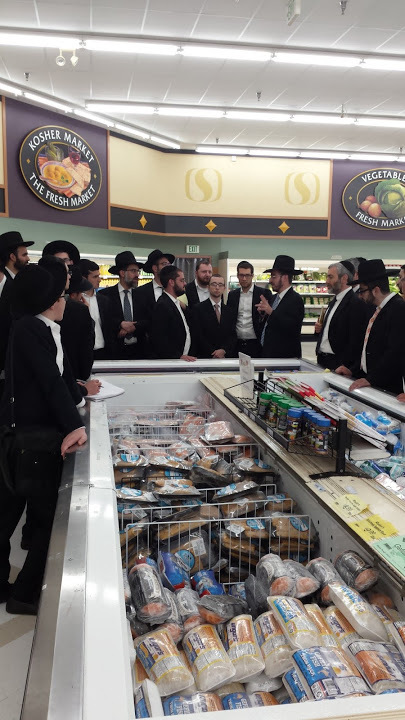 The participants, who act in a kashrus supervisory capacity primarily for restaurants, caterers, camps, and college campus Kosher programs, came from throughout the Maryland-Pennsylvania region. 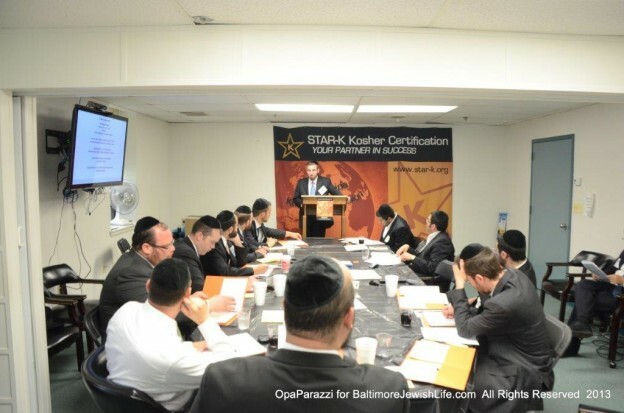 Rabbi Daniel Presman traveled 10,800 roundtrip miles, a 22-hour roundtrip flight from his hometown of Porto Alegre, Brazil, just to attend STAR-K’s ninth annual Kashrus Training Program, July 16-19, held in its Baltimore offices. Hearing about the program via an email, he was convinced that it would be well worth the trip– he was not disappointed. The field of Kashrus is diverse and multi-faceted. These attributes are mirrored in the multi-talented, eclectic STAR-K Kosher Certification’s Kashrus Administrators, who recently took Kashrus on the road to audiences in Baltimore, Lakewood, North Miami Beach, and Oak Park, Michigan. Their topics spanned everything from Astronomy to Kosher Organic Certification. 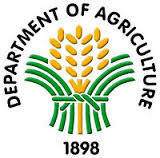 It should have come as no surprise when the Philippine Department of Agriculture sponsored the first official Philippine Pavilion at last month’s Kosherfest 2012, which included manufacturers of Kosher-certified products derived from coconuts, bananas and processed mangoes. Consul General Mario L. de Leon Jr., of the Philippine Consulate General New York, cut the ribbon at the pavilion and spoke at the Interest Session provided by Kosherfest organizers. The way was paved for Filipino exporters of processed food to explore the lucrative niche market of Kosher-certified food products.